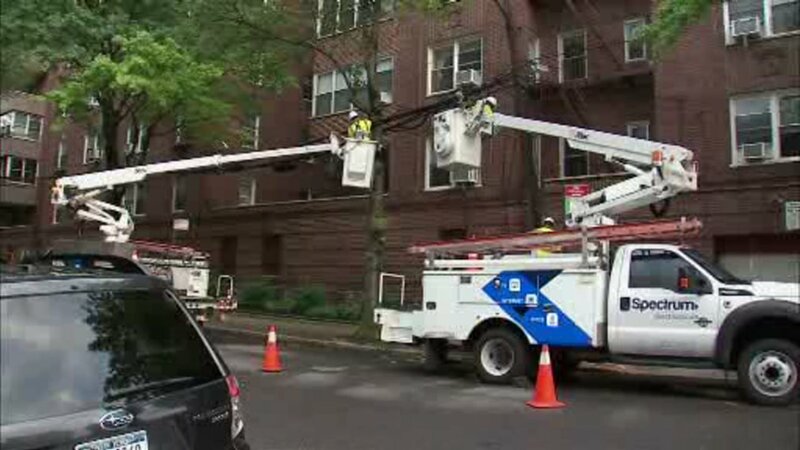 QUEENS, New York (WABC) -- The Queens District Attorney's Office has declined to prosecute a striking Spectrum worker who was previously accused in the June 26 vandalism that left tens of thousands of customers without service in Queens. Authorities say the charges against 48-year-old Michael Tolve have been dropped pending further investigation. Tolve was arrested at his Wantagh home Wednesday and charged with criminal mischief after officials said he cut fiber optics cables and then stole a memory card from a surveillance camera. The incident caused more than $67,000 in damages to the equipment and left 60,000 customers without TV, internet and phone service. Tolve is a fiber technician who has worked for the company for 14 years. Cables had also been cut at the end of April and a third time on July 11. A spokesman for Charter Communications, which owns Spectrum, said cables have been cut 106 times total in the Spectrum network since cable technicians went on strike on March 28. They have reported all 106 cases to the police since the vandalism is criminal in nature.